No, it's not the Carly Simon song, and certainly not the Heinz commercial from the 1970's. No, this is not about the epicurean wonders of catsup or the songs by one of the ex-wives of James Taylor. It's about vacations, and specifically road trips. The road trip is almost mythological in the minds of motorcyclists around the world. 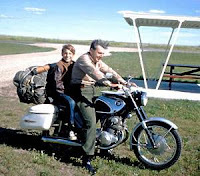 From Che Guevara to Dr. Greg Frazier to Robert Pirsig in the real world to Easy Rider and Wild Hogs in the celluloid one, motorcyclists are drawn to the road trip like true believers that are called to a pilgrimage to a holy land. 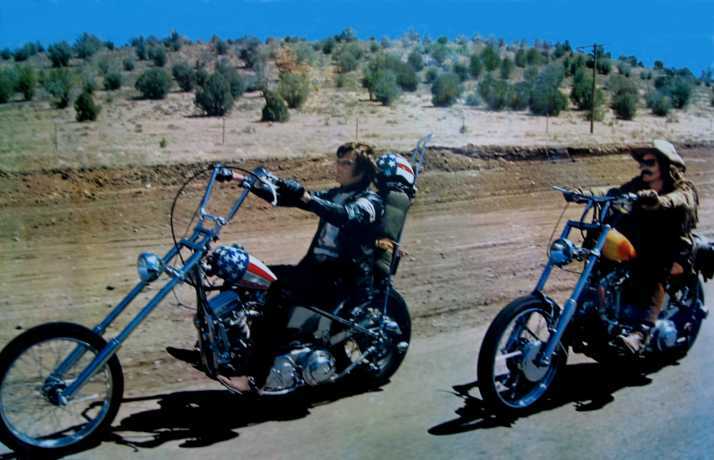 All of us get the itch, the desire to hit the open road, explore new places and people and get the wind in our faces. I can't help but believe there is some primeval force inside us that draws us to the road trip. Right now I am getting ready for a road trip to the west coast, specifically Crescent City California for a motorcycle rally. While this trip's seemingly primary importance is to go to the Rally in the Redwoods and meet old friends, in another sense it is to develop and delve into my own private chatauquas in an effort to gain clarity, focus, direction and even desire. As my profile on this blog says, I am basically trying to figure it out. I have spent many years doing a particular kind of work and to be honest, I am burned out. My own father was not only in the same profession for 39 years, but worked for the same employer during that time. I wish he was still here as I would like to know how he did it and better yet why? Dad never did chatauqua's that I know of, nor did he ride a motorcycle after getting married or did he ever go off on road trips. Dad was from a different generation and in some ways a different person. He had the patience of Job and at times the countenance of a champion poker player. Not much riled my dad and in my whole life I only heard him curse once in English, but that is another story. So, tonight I wait in anticipation of this trip. Questions arise like, is my motorcycle ready? Am I ready? What will I encounter? Will I find what I am searching for? All pertinent questions, all will be answered in due time. Patience is one virtue that I do not have enough of and endurance is the other. They go hand in hand. The truth is, the answer is already there, but with this trip I hope to quiet my mind enough to see it. In the meantime, I still have to go over a few things with the bike, pack a fix-it bag, wash the bike, pack my clothes, pack the bike and gas up. I also have to make sure that everything is fine at home too. I wouldn't leave unless it was. And the motorcyclist home from the road trip. People are different, and that is good. There are the ones who stay, in the town they grew up, in the first job they'd taken, and never go anywhere, some are focused on the here and now, some prefer living in the yesterday. And there are the wanderers, the restless, who follow the call of the road. The ones that live in different places, have different jobs, some never arrive, and continue to live in the tomorrow. We need both sorts of people but I understand and can relate to the latter so much more. I did make it. I will be doing a write up shortly about the trip. It was a trip I tell you... 4,121 miles in 9 days. Too bad you didn't make it. Thanks for commenting.